After time spent separately as solo artists, Surrender Hill’s Robin Dean Salmon and Afton Seekins seemingly found each other at just the right time in their careers. The South Africa native Salmon founded the award-nominated punk band See No Evil in Texas after he moved there as a young man with his family. After a decade working the punk rock circuit, though, Robin Dean Salmon ended up feeling the pull of the roots sounds he heard in Texas and eventually became an Americana songwriter before meeting his future bandmate and wife Afton Seekins while playings one shows in Sedona, Arizona. Seekins spent school age years splitting her time between an Alaskan fishing village and an Arizona frontier town. After she spent time as a choreographer in NY, Afton Seekins eventually became a solo singer/songwriter before joining forces with Robin Dean Salmon after that fateful time in Sedona. 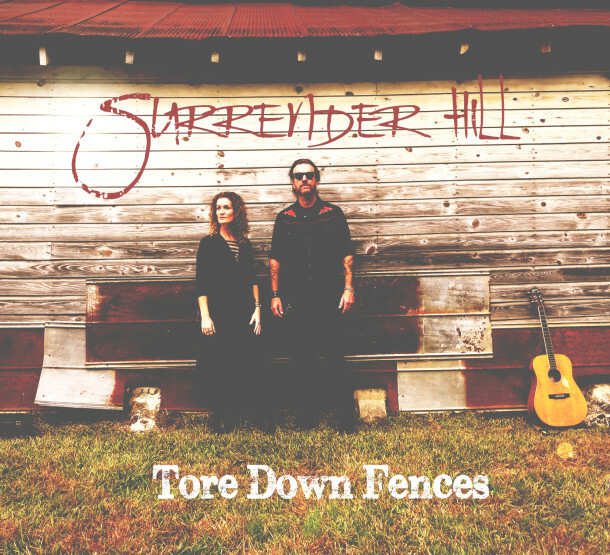 While the couple were strong apart, together, they have a dynamic worldly sounding blend of Americana music taking what they’ve learned over the course of their lives into their music, music which is now three albums deep with the release of Tore Down Fences, a metaphor for the duo’s bearing of their innermost demons and battles before they found each other. With heavy doses of rootsy guitars, B3, and flourishes of pedal steel and bright harmonies, their sound is an appealing sound and we’re proud to offer a look into what makes “Up In Flames” such a dynamic song and something we are proud to share before you can buy or hear the album Tore Down Fences on Friday, February 2, 2018. Roughstock: Is there a specific inspiration behind this song? 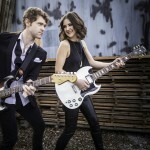 RDS: This song is about choices. We were running one morning and the line "when outlaws headed south and dreamers headed west and those who built big companies put their vision to the test" popped into my head. I told it to Afton, and when we got home we wrote it. As we played it more and more, it started reminding me of the first time I ever got schnockered. It was when I was 14 working on The Y'O' Ranch in Texas. We were moving cattle in a far-off pasture, and I spotted a wild horse that we then roped and brought back with us in the trailer. I was so excited -- and it was so hot and there was lots of cold beer -- and I drank a lot of it. When we got back to the corral I attempted to break this horse. Wow!!! What a ride. Roughstock: What prompted you to write it? RDS: Just sort of wrote itself. Roughstock: How was it working on this song in the studio? RDS: This was the first song we laid down, and it really set the tone of the album. Got all of us very excited. Roughstock: You two performed separately before coming together as Surrender Hill. What was it like going from performing by yourselves to performing as part of this duo? 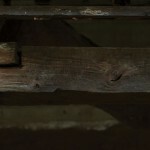 RDS: I think it was strangely liberating. We had so many more possibilities. Everything came very easily for us together. The blend as well as co-writing. Roughstock: How did your personal relationship factor into that? RDS: It was everything. There is no line between our music and our relationship. Roughstock: Do you have a favorite lyric line from the song? RDS: I love singing the second verse: "some drifters keep drifting, some married men stay put, some people go to church but that don't make them good, some broken hearts keep breaking, some fires just won't burn, me, I always found that lesson hard to learn."